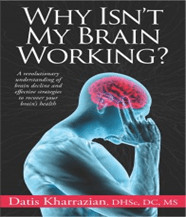 This is part of our ongoing series diving through pieces of Dr. Datis Kharrazian’s new book Why Isn’t My Brain Working?. We are so glad this book finally came out! While we see a lot of people for thyroid problems and other autoimmune conditions, nearly all of our patients also complain of poor brain function. The following is a quick, short list of symptoms of a poorly functioning brain. How did you do on the list? If you can relate to that list, realize those symptoms are coming from decreased brain function. The kicker is understanding how inflammation, food allergies, fish oils, neurotransmitters, hormones, and much more, all affect your brain. 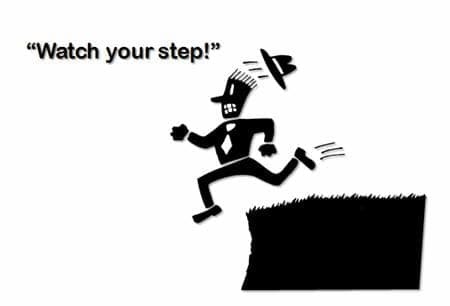 That is what Dr. Kharrazian’s new book is all about. Please read our last post, entitled Why Isn’t My Brain Working for a bigger picture discussion. Today, we are going to move into our first specific topic: Essential Fatty Acids(EFAs) or Fish oils. Before you say, “I already know about EFAs and I’m taking them”, please, just read this article. Taking essential fatty acids (EFAs)/ fish oil is probably the most common supplement our patients come in the clinic already taking. However, most patients are completely messing up fish oils. The benefits of fish oils are pretty well documented for their anti-inflammatory role in heart disease and brain-enhancing effects[i]. They can also help with pain, dry skin, poor hair growth and quality, and hormone imbalances. Commonly, Americans eat a very imbalanced ratio of omega-6 fatty acids to omega-3 fatty acids. The typical American consumes 25 times more omega 6’s to omega 3’s. We are designed to have a more 4:1 to 1:1 ratio of these fats[ii]. This shift in our common diet causes a shift towards a chronic, degenerative and inflammatory state. We want to stress that these are our minimum, therapeutic ranges, and you will often find even higher doses in studies. For example, we had a patient with Rheumatoid Arthritis (RA) bring a study that used fish oils to help in the RA treatment. In the study, they were using 130 mg of omega 3 fatty acids for every kg of body weight with their patients[iv]. If I take an average 150 lbs patient that equates out to nearly 9,0000 mg of fish oil/day! For the record, the study showed patients taking that dose of fish oil were able to get off pain killing medication and reduce their overall levels of pain. A meta-analysis of studies where fish oil is used to treat diabetes (both insulin and non-insulin dependent) showed that fish oil was helpful in lowering both triglycerides and HbA1c blood tests. A table showed how 26 different studies used dosages of combined EPA/DHA ranges from 900 mg/day to 7,500 mg/day with 20 of the 26 studies using over 3,000 mg/day[v]. We could go on citing studies, but, to save space, we’ll stop here. Suffice it to say, therapeutic doses of fish oil are at least 3,000 mg of combined EPA/DHA per day. In our practice, we use the fish oils EPA and DHA more than we use the plant version, which is ALA. In theory, you can convert ALA into the EPA and DHA, but the enzyme required for the processed decreases its activity with insulin resistance. Thus, we generally stay away from ALA in patients who have any problems with insulin and go right for the fish oils, EPA, and DHA. Most fish oils are a mixture of EPA and DHA and are good for inflammation, pain, skin, hair, and hormones. They regulate the TH3 part of the immune system and aid in proper immune response. For most patients, this is a great form of fish oil to be taking. Just remember to take 3,000 to 5,000 mg/day! If we are talking specifically about brain health, then taking a product with a higher concentration of DHA can work wonders. The mixed type of fish oil can certainly help the brain, especially by reducing inflammation. However, when it comes to the neuroplasticity of your brain, DHA is king. (Neuroplasticity refers to the ability of your brain to build new connections and learn.) Your brain is about 60% fat and DHA is the fat of the brain. (As a note, please don’t confuse DHA, the fatty acid, with DHEA the anabolic hormone made in the adrenal glands). Studies involving mice supplemented with DHA show an increased ability to learn and perform new tasks[vi],[vii]. DHA has also been shown to protect and preserve brain function in Alzheimer’s disease[viii]. To quote from Dr. Kharrazian’s book Why Isn’t my Brain Working on p. 403. DHA plays roles in improving the fluidity of neuron membranes, supporting the growth of new neuronal dendrites, improving the ability of neurons to release neurotransmitters, and enhancing signaling between neurons. DHA has also been shown to boost brain function, improve the quality of life, reduce the incidence of neurodegenerative conditions, and improve both short-term and long-term memory. In summary, DHA is used to enhance brain function, reduce brain inflammation, and decrease the incidence of neurodegenerative conditions[ix]. For this reason, we often use high dose DHA with a patient who we are building new neurological pathways and doing brain therapy. The product we use has a 14:1 DHA/EPA ratio. In closing, essential fatty acids are often part of our basic support for many patients suffering particularly from inflammatory/immune-based conditions and brain dysfunction. Taking the correct dosage is vital to actually seeing benefits and high dose DHA can be an extremely powerful tool! [i] Glick, N, Fischer M. The Role of Essential Fatty Acids in Human Health. JEBCAM. May 2013. [ii] Simopoulos, A. The Importance of the Omega-6/Omega-3 Fatty Acid Ratio in Cardiovascular Disease and Other Chronic Diseases. Experimental Biology and Medicine June 2008; 223(6):674-688. [iii] Hibbeln JR, Nieminen LR, Blasbalg TL, Tiggs JA, Lands WE. Healthy intakes of n-3 and n-6 fatty acids: estimations considering worldwide diversity. American Journal of Clinical Nutrition. 2006 Jun;83(6):1483S-1493S. [iv] Kremer J, Lawrence D, Petrillo G, et al. Effects of high-dose fish oil on rheumatoid arthritis after stopping nonsteroidal anti-inflammatory drugs clinical and immune correlates. Arthritis & Rheumatism August 1995; 38(8):1107-14. [v]Friedberg C, Heine R, Janssen M, Grobbee D. Fish Oil and Glycemic Control in Diabetes. A meta-analysis. Diabetes Care April 1998; 21(4):494-500. [vi] Gamoh S, Hashimoto M, Hossain S, Masumura S. chronic administration of docosahexaenoic acid improves the performance of radial arm maze task in ages rats. Clin Exp Pharmacol Physiol. 2001; 28(4):266-70. [vii] Sugimot Y, Taga C, Nishiga M, et al. Effect of docosahexaenoic acid-fortified Chlorella vulgaris strain CK22 on the radial maze performance in aged mice. Biol Pharm Bull. 2002;25(8):1090-2. [viii] Hashimoto M, Hossain S, Shimada T, et al. Docosahexaenoic acid provides protection from impairment of learning ability in Alzheimer’s disease model in rats. J Neurochem. 2002;28(4):266-70. [ix] McGahon, BM, Martin DS, Horrobin DF, Lunch MA. Age-related changes in synaptic function: analysis of the role of dietary supplementation. Neuroscience. 1999;94(1):305-14.